Dr. Denis Britto provides quality and affordable orthodontic care for children, teens, and adults in a warm and friendly environment. Britto Orthodontics has the state-of-the-art technology necessary to provide the best treatments and most beautiful smiles! Our team is friendly and outgoing, and you'll always feel welcome and appreciated here. Our treatment options include traditional braces, Invisalign® clear aligners, as well as after-treatment whitening! We want you to have a wonderful experience in our office and work very hard to deliver quality orthodontic care that meets your personalized needs. No-interest payment options and easy financing is available to make orthodontic treatment affordable for families. Our practice accepts most major credit cards and insurance plans. We understand your busy lifestyle and do our best to schedule appointments to accommodate your schedule. At Britto Orthodontics, excellence isn't our goal, it's where we begin! Contact Britto Orthodontics at our Chantilly Office or Woodbridge Office for your complimentary consultation! We want you and your family to feel comfortable and fully informed before starting treatment. We are prepared to provide an oral exam to determine which treatments we recommend. Come in to see us, and join our family of patients! 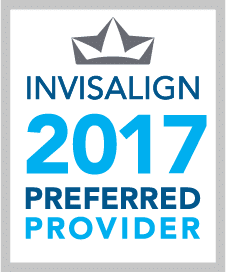 Serving Chantilly, Woodbridge and South Riding, VA (Virginia) - Dr. Denis Britto is your orthodontic specialist, offering Invisalign and braces for all ages. Dr Britto is a brilliant orthodontist. His entire team has been just awesome, starting from his warm wife Carol who always greets each and every person who walks in to Archie who is a wonderful technician to Dr Britto who is absolutely brilliant and his entire team whose names I may not have mentioned. I would totally recommend him n a heartbeat! It was worth the drive since we live away from his location. They are best If you are looking for an orthodontist and his team. My son says that he is going to miss seeing Dr Denis Britto. Treatment goes smoothly as Dr Britto keeps you wel informed through the process.No problems with getting appointments.Myself and my three kids had our braces done with them and I have no hesitation in recommending and already have to friends and family.